Convenient to Myrtle Beach, Surfside, North Myrtle Bach, Conway, Murrells Inlet, Garden City, Loris, Georgetown, Dillon, Florence and other points throughout South Carolina. 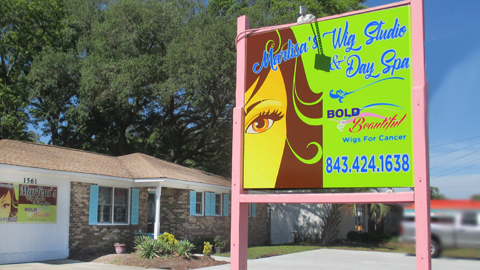 Still need more help finding your way to Marlisa's Wig Studio and Day Spa? Just click on directions and put your current location in the top line and hit return!